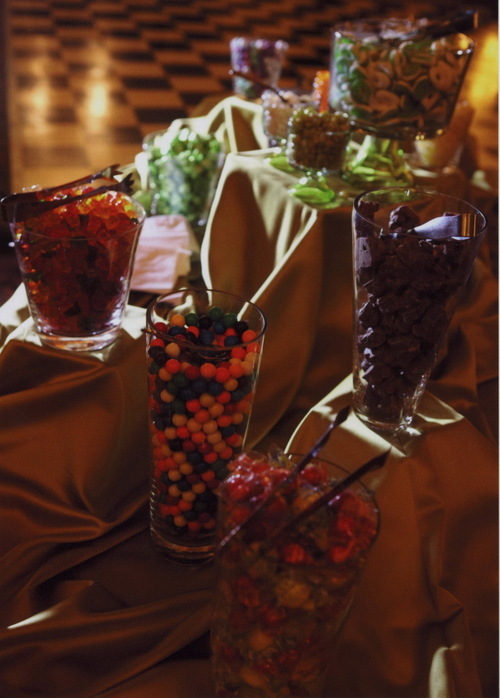 Glass containers with different types of candy adorn table lavishly layered with citron linen. Guests helped themselves to their favorites and took candy home in personalized favor bags. Of course, many guests just enjoyed the candy at the party! Photo courtesy Eric Cable.